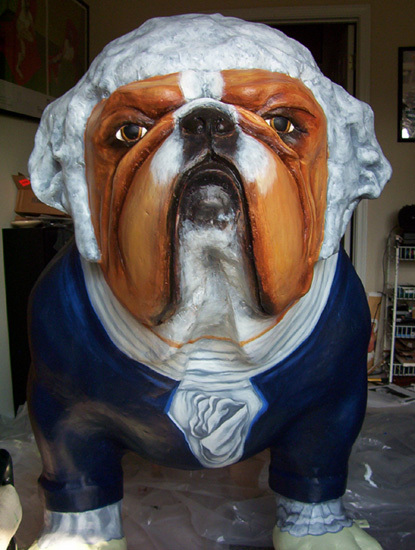 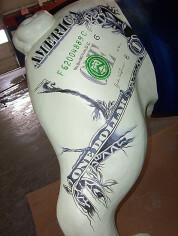 The “Dollar Dog” is one of four commissioned bulldog sculptures I’ve painted. The sculptures originally appeared in the Athens, Ga area as a public arts project. Measuring around 4 1/2 feet tall, the bulldogs are made out of fiberglass and produced by Cowpainters http://www.cowpainters.com/ This particular project was commissioned by Robins Federal Credit Union in Athens, Ga. 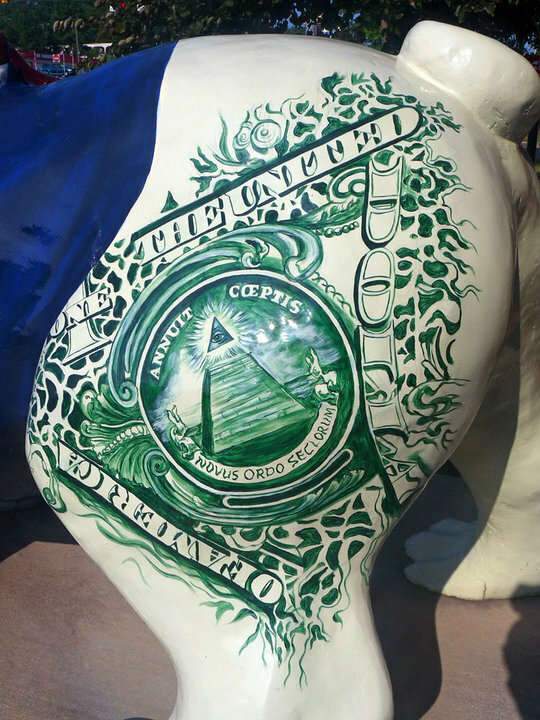 The design is based on the likeness of George Washington and detail elements on the dollar bill. 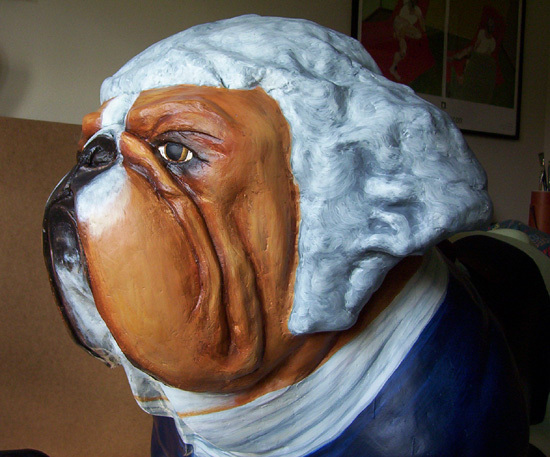 After the concept sketches were approved, I sculpted the powdered wig and hair bow using newspaper (as a base), fiberglass cloth, and bondo. Once the body was sanded and primed, I painted the clothes and detail elements on the body using layers of acrylic paint. 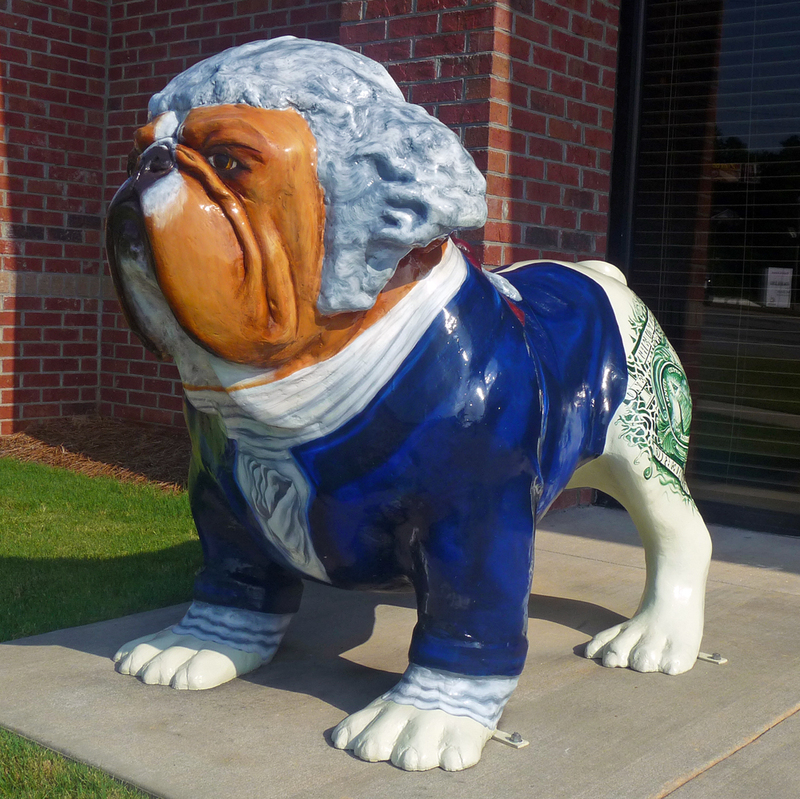 The finished bulldog was coated with polyurethane and is currently on display outside Robins Federal Credit Union in Athens.